Copro Gallery and Heavy Metal Magazine join forces to celebrate 40 years of sci-fi fantasy and comic art with the Heavy Metal 40th Anniversary Art Show. 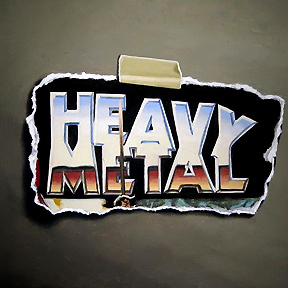 Featuring over eighty artists, this extravaganza will feature art from Heavy Metal’s 40 year history of publishing, new paintings and drawings inspired by the magazine, cel art from the film, limited edition prints, vintage film posters, T-shirts, comics , vintage magazines, memorabilia and more. In addition to vintage artwork and newly created paintings, HM and Copro Gallery will be releasing new limited edition prints each week available at the gallery and online. The Opening Night Event, July 15, will include Live Body Painting, Artist signings and much more. Many of the artists will be in attendance! Visit the website frequently for updates on pop-up artists signings throughout the show.